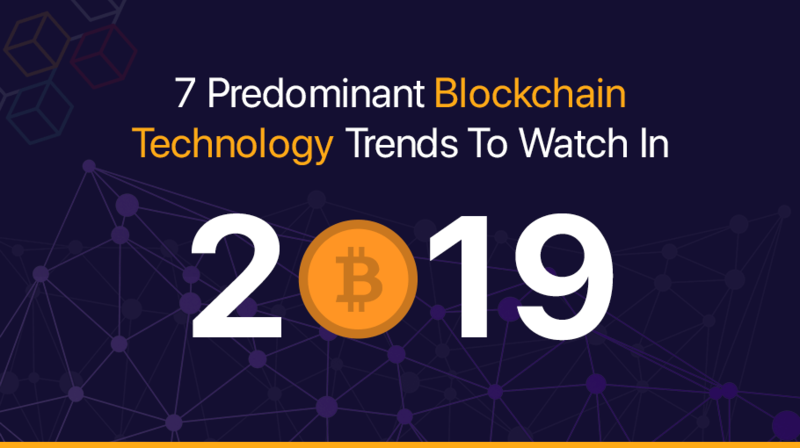 Blockchain Trends in 2019: The Blockchain technology, also termed as Distributed Ledger Technology (DLT), enables secure transaction over a distributed network. The blockchain technology eliminates the need for third-party verifications since all the parties share the ledgers over the distributed system. According to a recent survey, by the end of 2018, 74% of companies affirm that they already have a compelling business case for blockchain technology and 34% of them already initiated a blockchain deployment. The enhancement in the use of blockchain technology results in the arrival of new blockchain trends every year. The innovation specialist like IBM, Oracle, and Amazon, have blockchain related administrations. Diverse organizations are experimenting with the blockchain technology by building up the primary use cases and proof of idea for the technology. As the demand for blockchain technology is increasing day by day, the global blockchain technology market is assumed to reach up to USD 16.82 billion by 2026. “What the internet did for communication, blockchain will do for trusted transactions” -Ginni Rometty, CEO of IBM in 2018. The progress of blockchain for the past few years have been breathtaking. From a technological outlook, it has been pushing new boundaries every year. 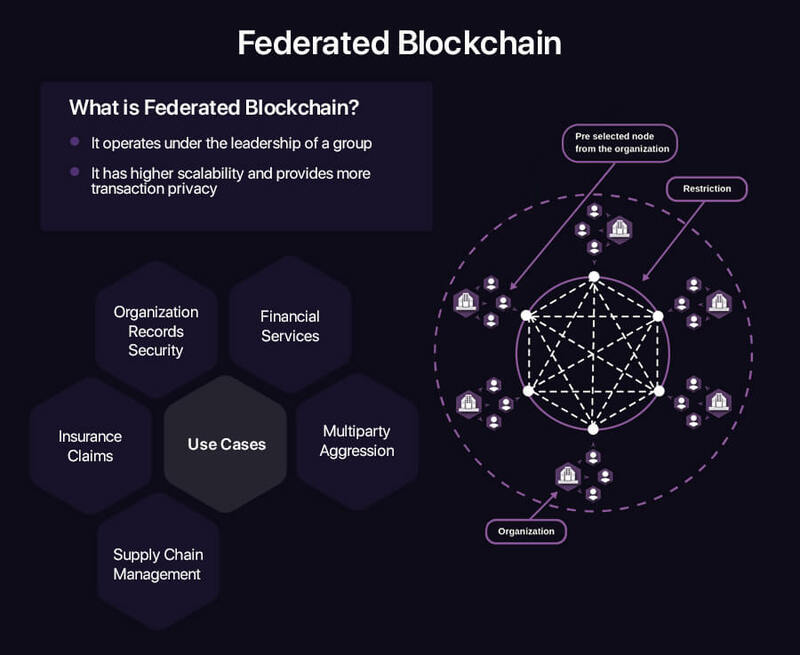 Federated Blockchain is a blockchain trend that is an advanced form of the basic blockchain model, and it is ideal for many specific use-cases. According to many experts, the usage of federated blockchain will rise as it provides private blockchain development with a more customizable outlook. Although Federated blockchain is quite similar to Private Blockchain technology, there are a couple of remarkable differences that make it unique. For example, in federated blockchain instead of one organization, there are multiple authorities to control the pre-selected nodes of the blockchain. This selected group of nodes validates the block which helps the further processing of the transactions. Volton, a project powered by R3 and CryptoBLK, gets its tech support from Microsoft’s Azure, a cloud platform, is an excellent example of Federated Blockchain. In this project Voltron, twelve banks like HSBC, BBVA, U.S Bank, SEB, BNP Paribas, Scotiabank, Natwest, Mizuho, Intesa Sanpaolo, Bangkok Bank, ING, and CTBC bank, are coming together under the same network. Voltron is using R3’s blockchain technology for digitizing all official documentation. Voltron project is using Corda platform and the decentralized nature to create a federated platform. Blockchain As A Service is a new blockchain technology that is currently integrated by some startups as well as enterprises. 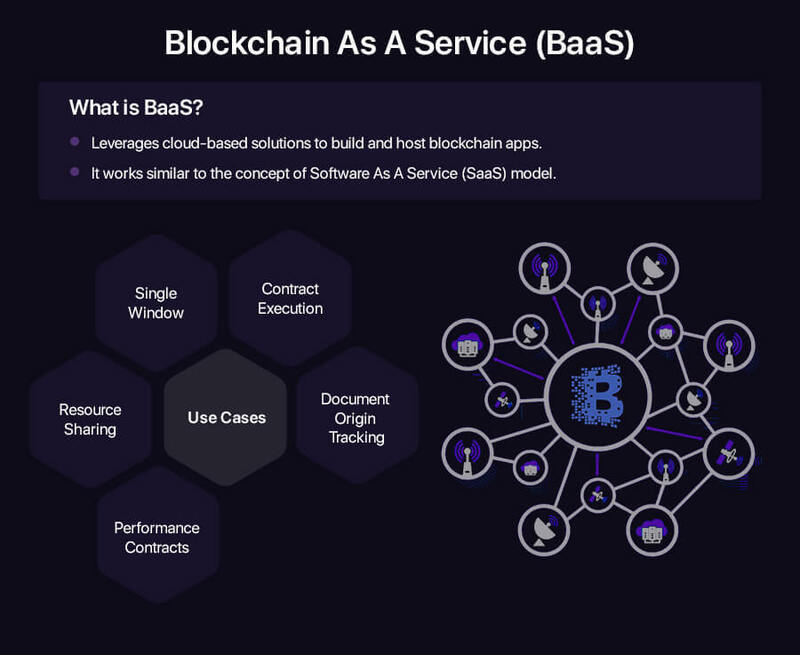 Blockchain As A Service is a cloud-based service which facilitates the users to develop their digital products by working with blockchain. These digital products may be applications, smart contracts, or even other services that can work without any setup of the complete blockchain-based infrastructure. The tech giants like Amazon manages Blockchain development services that makes it easy to create and manage scalable blockchain networks. In Nov 2018, Amazon announced a blockchain service, Amazon QLDB. It is an immutable, transparent, and cryptographically verifiable ledger for an app that needs a trusted, central authority to provide a permanent and complete record of transactions. Cryptocurrencies, the siding products of blockchain technology, are either tied to the price of a commodity or the operation of an algorithm. 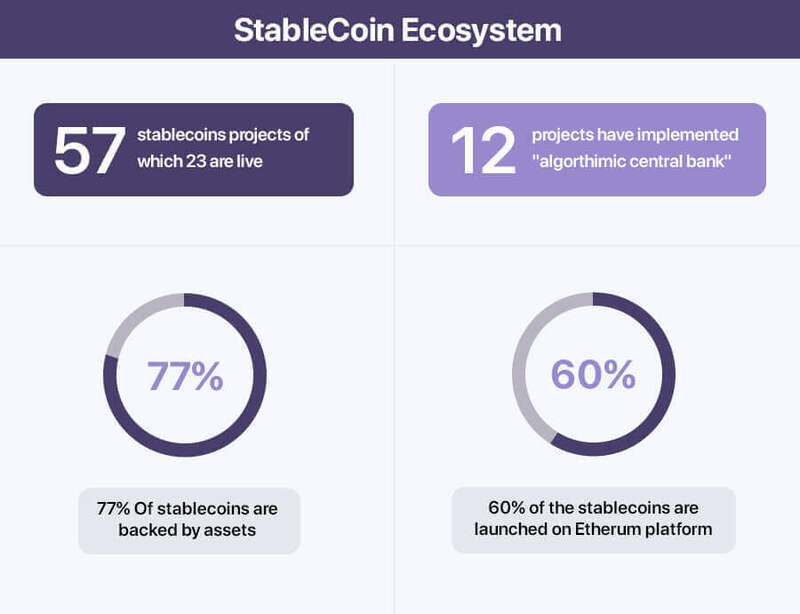 The stable coins are valuable for exchange operators, exchange users, and the cryptocurrency market as a whole. As of now, these coins are in their initial phase, but it has been predicted that 2019 would be the year when the blockchain stable coins will achieve their all-time highs. Two years ago, ICOs were the talk of the town, and now STOs have replaced it. There are many reasons why security tokens by blockchain are going to be one of the top blockchain trends. For instance, almost 50 percent of the ICOs turns out to be a scam which automatically affects the trust of the investors. This is why Security Token Offering, i.e., STO are emerging in the field of technology. 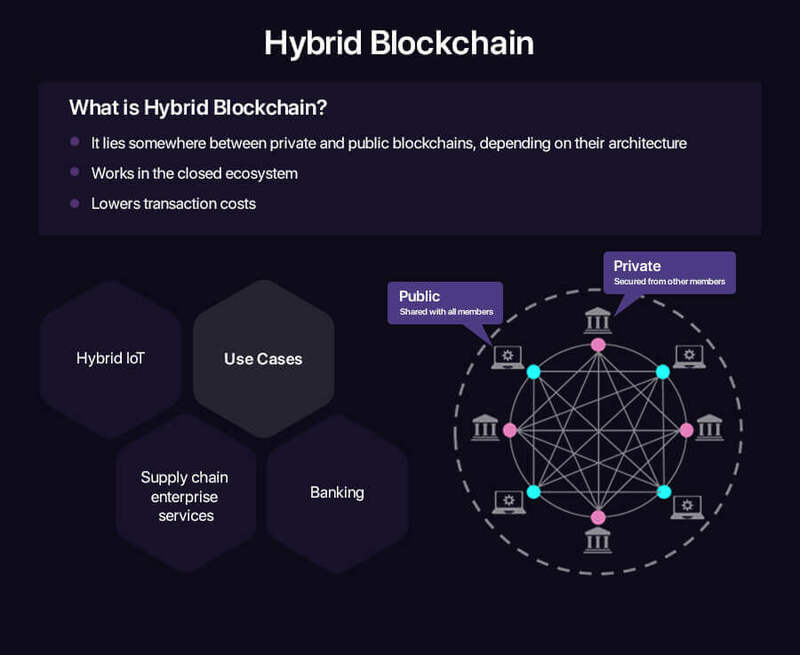 Hybrid blockchain can be defined merely as the blockchain that endeavors to use the most appropriate part of the public as well as the private blockchain solutions. For instance, the government cannot just entirely become decentralized by using public blockchain. They also cannot use only private blockchain in some of their services as they need to interact with the people. In such situations, the Hybrid blockchain provides an ideal solution by providing a customizable solution. It makes proper use of what blockchain has to offer such as integrity, transparency, and security. XinFin One of the leading hybrid blockchain platform developed a unique network for Ramco Systems for managing supply chain logistics. Content Streaming appears to be one of the emerging blockchain trends of 2019. Movie streaming companies like Netflix and Hulu can combine this technology and its solutions to store user data in an easily accessible and secure manner. Such video, music and social media streaming companies can also choose a similar API of blockchain technology that can enable the third parties to read and write information on the own blockchain itself. With content streaming becoming highly popular, it popularizes chat apps like Matrix that has an open source and decentralized communication network. Few apps such as e-Chat, ySign, Obsidian, and Riot, powered by Web 3.0. take advantage of blockchain and ensure users privacy. 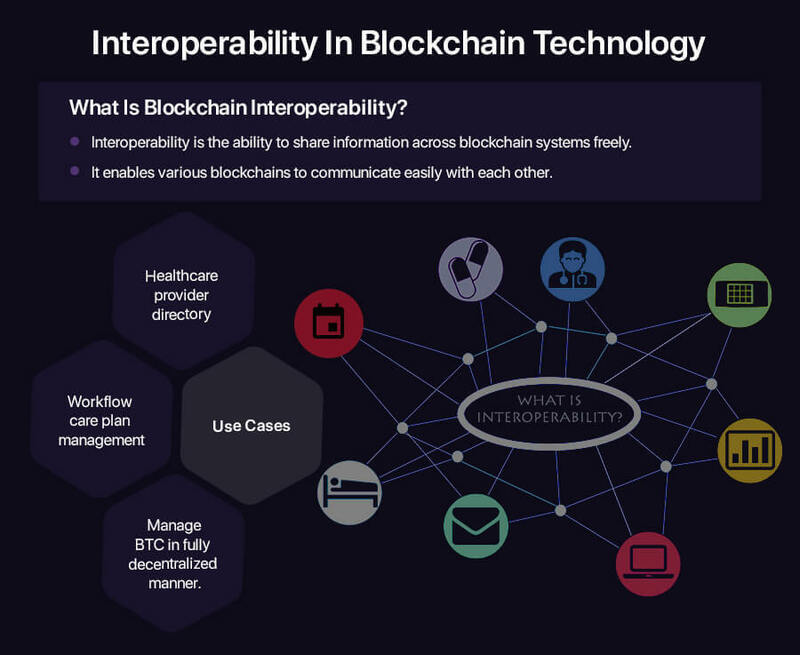 The blockchain interoperability defines the ability to share data and other information across multiple blockchain systems as well as networks. This function makes it clear for the public to see and access the data across different blockchain networks. For instance, one can send data from one Ethereum blockchain to a specific EOS blockchain. Wanchain 2.0, fully connected to Etherum is the best example of interoperable blockchain with secure multi-party computing. Trade, lend, borrow BTC in peer to peer and a fully decentralized manner. After having a glance at all these blockchain trends, one can say that the future of blockchain is very promising. 2019 is going to be quite a significant year for this emerging technology in various industry sectors. The technique of blockchain is likely to have a huge impact across industries of all verticals. The true winners in 2019 will be the ones that can deploy blockchain driven enterprises software solutions and services. If you want to have a blockchain driven software and extend your business, then you are in the right direction. All you have to do is contact the blockchain developers of OpenXcell, who can help you in increasing your business productivity. Nidhi Thakker is a technical writer at OpenXcell, a leading Mobile App Development Company in India & USA. Nidhi is passionate about technologies. She enjoys writing about Custom Software Development, Blockchain Technology, Cryptocurrency, Mobile Apps, and Internet Services. A techie herself, she has chosen written words to express her interest in the upcoming trends in the tech space.